It's been a long time since I've had a cheeseburger. I honestly can't remember how long but I think it was sometime last fall. I've seen plenty of yummy cheeseburger and fries casserole recipes floating around Pinterest, but I just can't stomach the "cream" of soups that are in it. Or the crinkle fries. 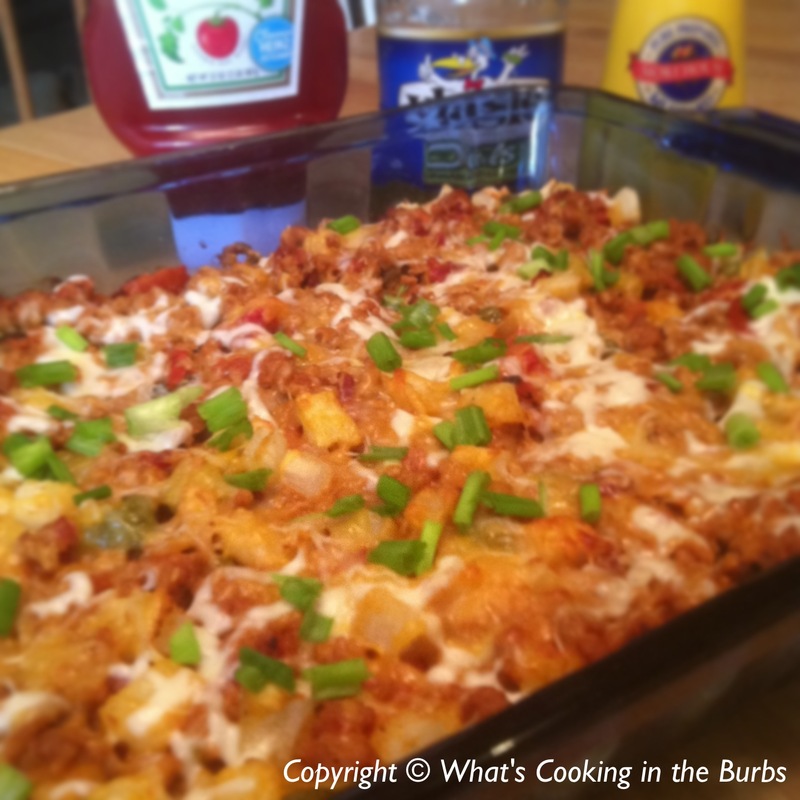 (Yes, weirdo me doesn't care for crinkle fries) I wanted to create a delicious and satisfying casserole without all the calories. I did some tweaking and came up with an amazing recipe. I used some of the ingredients from my bacon cheeseburger sloppy joes along with a few others. It definitely curbed my burger craving. This will for sure be my "go to" recipe the next time I am craving a burger! In a lightly sprayed 13x9 baking dish cook potatoes for 30 minutes. While potatoes are cooking brown ground turkey. Add in your onion soup, beef broth, apple cider vinegar, worcestershire, ketchup, garlic, tomatoes, half of your shredded cheese, and mustard. Let simmer for 10 minutes. Stir in the pickles and bacon. Combine meat mixture with potatoes and cover with remaining cheese. Return to oven for another 15-20 minutes. Enjoy! Sounds like a great combo. 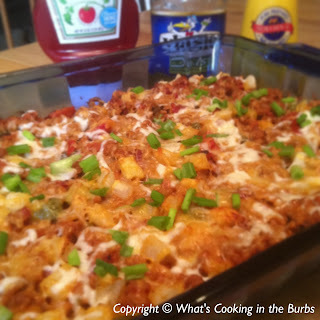 Thanks for sharing with Simple Supper Tuesday~! This looks Fab as always! Thank you so much for sharing on Show Me Your Plaid Monday's! This sounds so good, Bridget - My boys would gobble this up!